★Get a grip of your pets hair! Super effective solution for your pets shedding at an amazing price. Remove excess shedding and improve your furry freinds hygiene while keeping their coat shiny and beautiful. 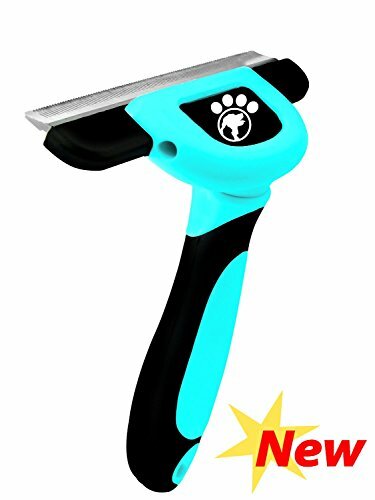 ★PETTOOL is a one size fits all deShedding tool designed for Small, Medium & Large- Cats & Dogs, that have Short, Medium and Long hair. ★Ergonomic and durable handle that wont break is a perfect tool for removing loose, dead hair, while gaining a shiny top coat in minutes. ★For best results, we recommend deShedding your pet immediately after washing and drying. Use only on a completely dry coat. Use the deShedding tool much like a brush and gently stroke across the pet's coat in the direction of hair growth, angling the stainless steel teeth of the deShedding edge toward the coat. ✔ Guaranteed to get the job done! If you have any questions about this product by PETTOOL, contact us by completing and submitting the form below. If you are looking for a specif part number, please include it with your message.